Music with Mar. is an internationally respected brain-based music and movement program for adults and children to participate in together. 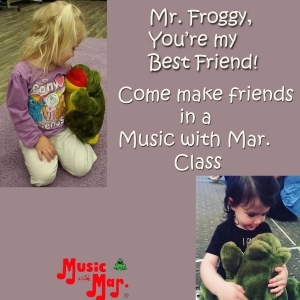 The focus is on using music to teach in the four main areas of development - language, cognitive, social and motor. Hop on in! COST $12.00 per family or 5 Class for $50.00 per Family!